Since 2015, I have been working on long-term projects, mainly on urban transformation and gentrification, immigration and women. 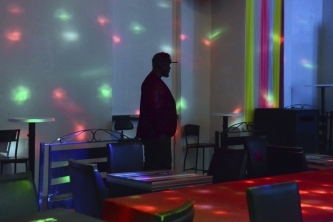 In one ongoing project, I focus on African immigrants in Istanbul. 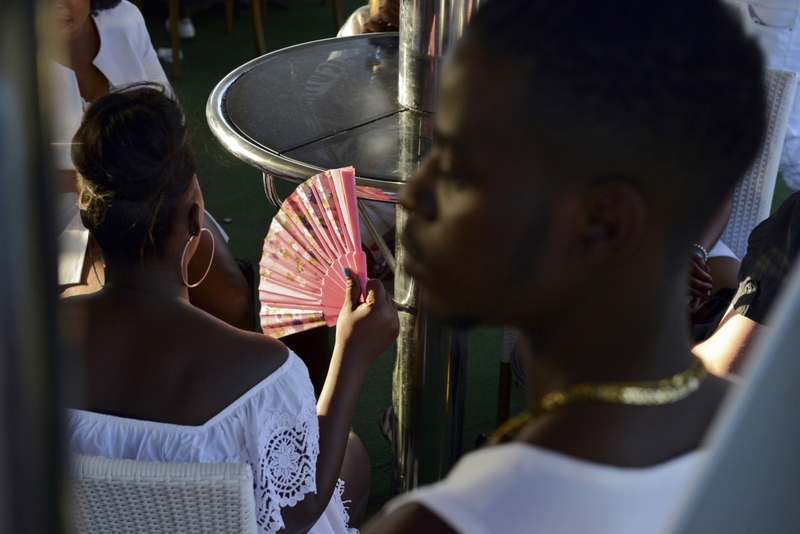 I have been curious about the Africans in Istanbul for long, about their widely unnoticed urban culture. And when I met Naomi, a young woman from West Africa, I had the chance I was waiting for. I soon discovered their colourful social lives, esp. the parties. There, they are very much into a show-off, always good-looking and fashionable. You would think they all are in showbiz. 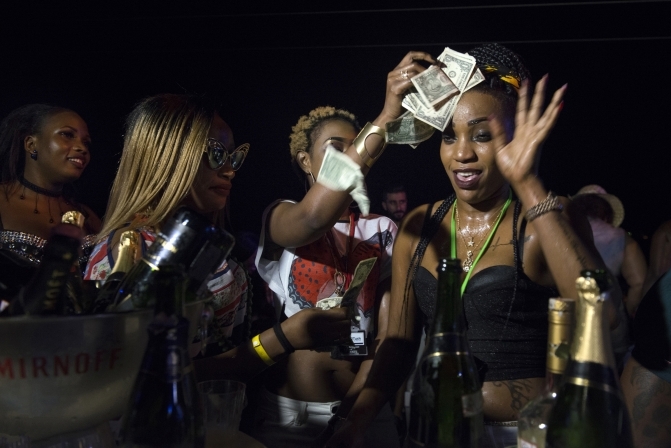 A small, innocent-looking boat party that started at early evening hours, evolves into a craziness of striptease shows, fake dollars and lots of liquor. 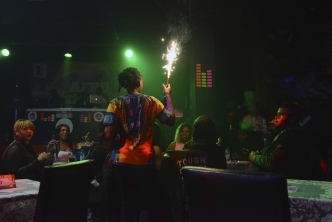 The party people welcome the morning under the flashlights of an African club, somewhere in the backstreets of the city. These parties strikingly contradict with the rest of their lives. The majority complains about the hardship of living in Istanbul and many are unemployed, living in poor conditions. Then I realized that these parties are where they open up space for themselves, keep their souls alive and take a breath in this urban jungle. They create their own illusion of paradise, like a magician. One of my interviewees had once put it straight, “I want to make a statement that ‘here I am’. So I dress in vivid colours with a lot of symbols. When I step in light, I want to shine. You can’t go to a party looking any type of way”. 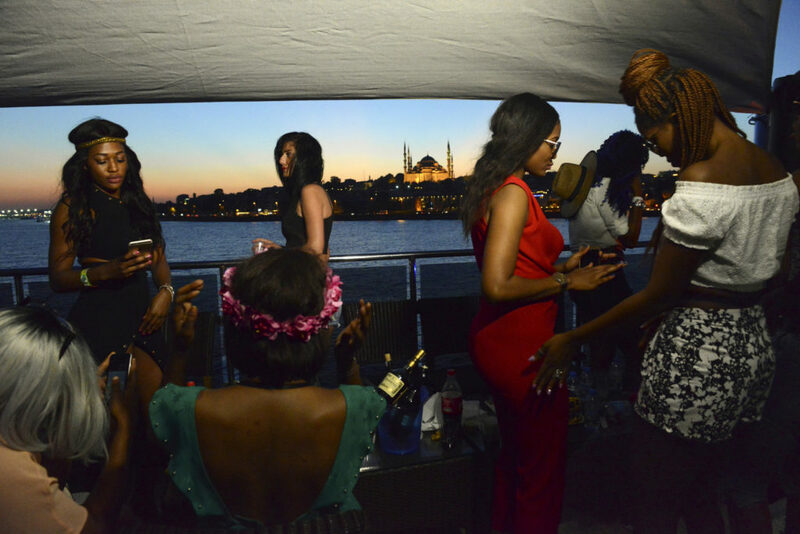 This series documents the African immigrants’ night-life in Istanbul, to celebrate these proud and strong people with an undercurrent of struggle, and not the other way around.